Hello! 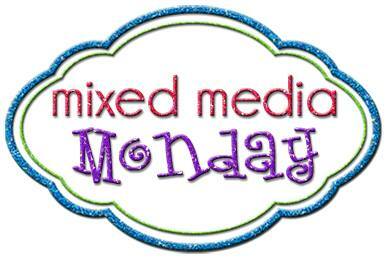 Time for another instalment of Mixed Media Monday with the All That Stickles blog. The theme being: Appreciation. 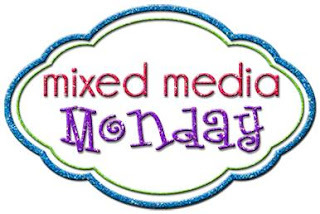 There is still time to participate in the Linky Party going on, so check it out later. I made a box to hold a variety of mixed media cards I made and intend to give this as a whole gift for someone who needs lots of cards to give. The gift that keeps on giving. 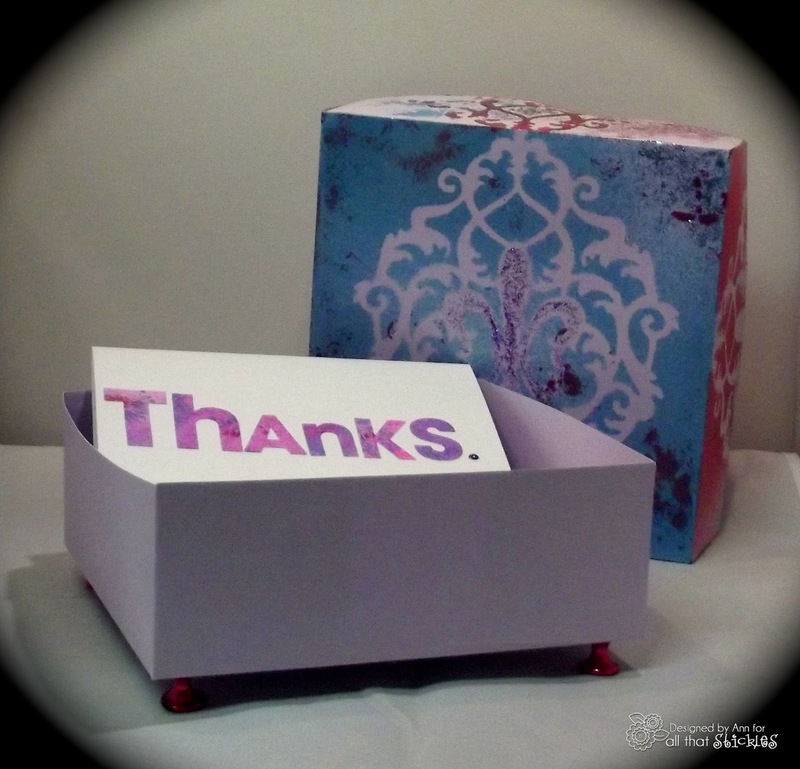 I say Thanks to one person by gifting my creation, who then in turn says Thanks to another person and other people with my Thank You cards. In a previous Mixed Media Monday I show a card I made with some dried flowers. 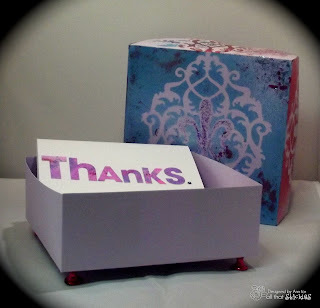 Since I had pieces of that handmade paper left over I used them to make some more cards to include in today's projects. 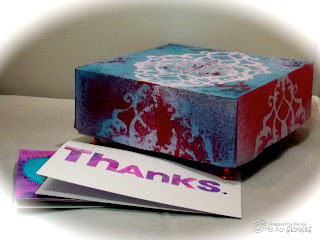 I then chose some card stock and more inks and paints to make a coordinated box for the cards.